Imagine this. You enter a footwear shop in your neighbourhood. You try on a bunch of shoes and finally select one. You then ask the shopkeeper how much it costs and he gives you a number. You are unsure if what he says is reasonable for the shoes or if you would be overpaying. You make some comparisons with other shops around, and you go ahead and buy the pair of shoes anyway. But there is still this nagging question in your head – “Did I overpay?”. You can replace the footwear shop with any other service provider and you probably still have tons of questions around how fair their pricing was. One of the many things we’d like to focus on this year is transparency. Transparency in every aspect. We believe transparency starts with our customers and so, that’s where we’ll begin. We get many questions from our potential customers on our pricing and we realise that this bothers them. This is an attempt to provide you with as much information possible on our pricing model and help you understand why we charge what we charge. Rs 5000 worth of credits which can be used for calls and SMSes. What is the rationale behind charging a rental? 1. The cloud software – Exotel dashboard, API engine, monitoring services, redundant servers, etc. We do have specific pricing plans for large enterprises which typically use more than 2 lakh minutes of calling a month. For such customers, we tailor the pricing to meet their needs. What’s the deal with the call rates? The price you pay for phone calls covers the variable costs that we incur for fulfilling these services. 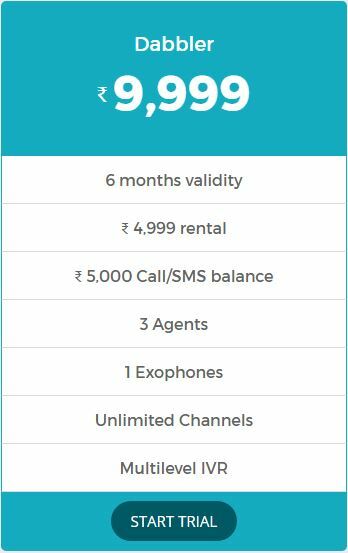 Also, these prices are tightly coupled with the number of minutes of calling that you do as the telecom operators charge us on that basis. We do add a markup for the other variable costs that we incur as well. 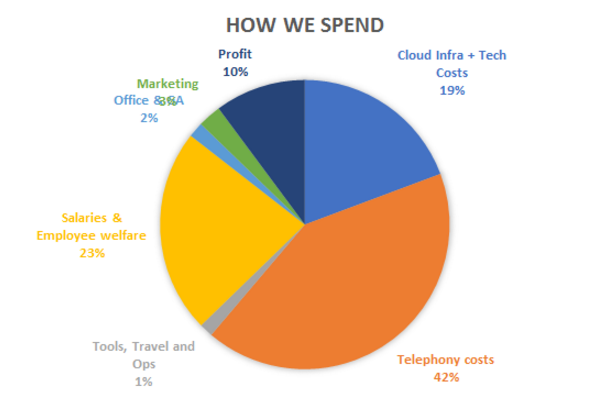 This also partly covers the salaries of all of us folks that serve you – The Sales team, Customer Happiness team, Operations team, Customer Success team and Tech & Product team. PS: The above is a representation of our costs as it existed a few months ago. As you can imagine, this is fluid and changes over time. I hope this post provides you with some clarity on our pricing model and answers some hows and whys of our prices. We are keen to get your thoughts on this and see if this cost structure resonates with you as well! During the given Validity period, a company can use available credits for call and SMS irrespective of location. 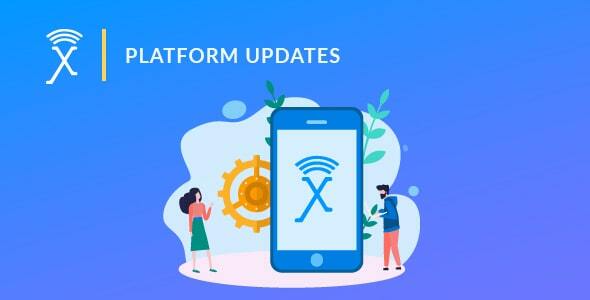 Cloud telephony call charges will be based on legs connectivity. Also, Call usage charges are per min basis. In case credits are over, you can do a recharge of above INR 500 + GST. You can also carry forward your available credits to the next validity cycle. If your validity period is over, you can opt for available plans or reach out to the customer success team.